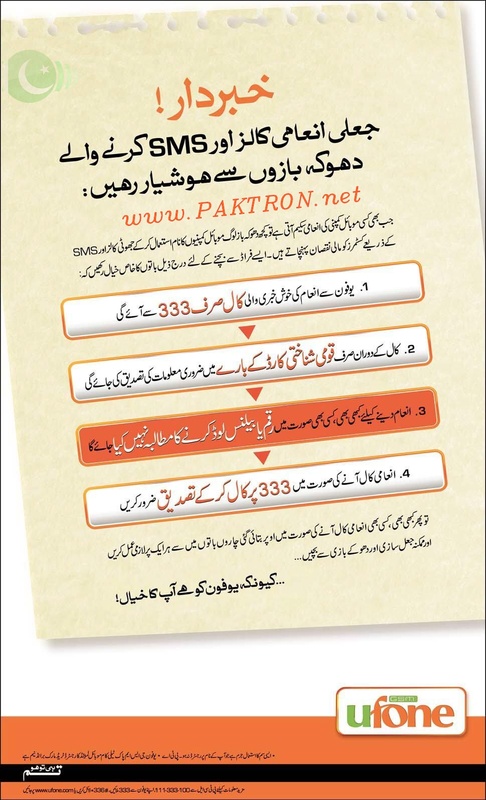 Ufone alerts its customers for Fraud Prize Schemes on mobile phone calls by launching a customers awareness campaign. Ufone would like to bring to your attention that among all the offers and schemes through which you can win a prize; some fraudulent individuals indulge in activities that may cause financial or other harm. Keep reading for more information regarding this customer awareness campaign. No balance, load or cash is asked in return of the prize won. Call back on 333 to confirm the news of winning. So spread the word and make sure that you are safe from being tricked into any loss.